Whether you’re looking for a new Volkswagen Tiguan, a new Volkswagen Jetta, or even a used car, you can save by trading in your used vehicle! The car trade-in value calculator at Alexandria Volkswagen ensures you can receive an accurate estimate on your used car. That way you’ll know how much you have to work with and what kind of car is within your budget when you arrive at our Alexandria Volkswagen dealership. 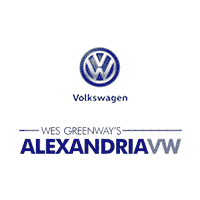 By submitting this form you agree to be contacted by a Alexandria Volkswagen staff member. How Do I Value My Trade? Simply enter in basic vehicle information, such as your make, model, VIN, and any other necessary fields. Our friendly staff will then contact you so that you can save even more on your upcoming purchase. If you have any questions about the trade-in process and how we determine your used car trade-in value, or if you’re ready to explore our inventory of new Volkswagen cars for sale in Alexandria, simply contact us. Otherwise, you can get right to determining your car’s trade-in value today!